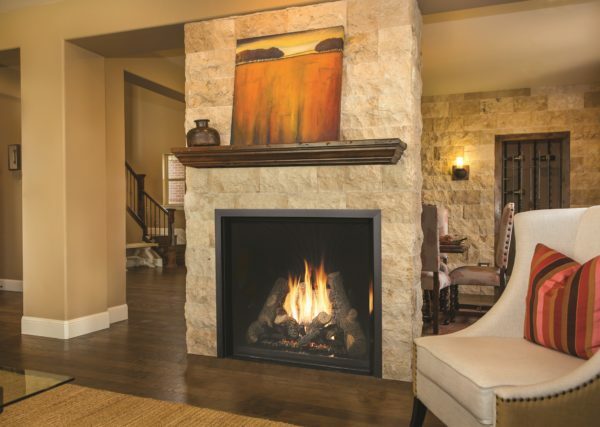 The real magic of the 4237 lies within its ability to express the appeal of an open masonry fireplace while embodying the performance and functionality of today’s superior gas heating technology. FireplaceX has created a large clean face design with no hearth, tremendous heating power, and money saving efficiency. The generous viewing area, 42″ wide by 37″ tall, leads the eyes towards an enchanting fire framed by a spectacular high definition log set. Concealed overhead lighting gently illuminates the interior to perfectly polish the presentation.